Winter driving messages delivered during recent cold snap! 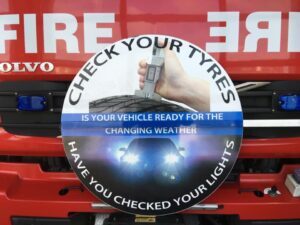 Whole time watches across Cornwall have been delivering vital winter driving messages to drivers regarding the importance of carrying out winter safety checks and making appropriate changes to their driving in wintery, snowy or icy conditions. Watches who supported this campaign include Blue Watch from Tolvaddon, Orange Watch from Truro and Green and Orange Watch from Bodmin. Watches were asked to attend supermarkets or businesses local to them to deliver this campaign; alternatively they had the option to attend any other local events/areas where there is a good footfall of drivers to communicate with. A squirt of WD40 will prevent your door locks from freezing up. Check tyres are inflated correctly. Aim for at least 2mm of tread in winter to handle the additional mud and rain. When was the last time you checked your fluid levels? Top up and use an additive in your screenwash. Low or no oil is the quickest way to a vehicle breakdown. Don’t use your wipers to clear ice! They are designed for nothing tougher than water! But do make sure you clear all windows before taking off. Slow down and increase the distance between you and other vehicles. Stopping distances double in wet conditions and in icy conditions can increase up to ten times. Put your lights on. You want other drivers to see you, use your headlights not side lights to ensure other drivers can see you. 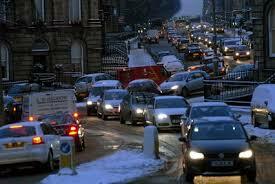 Avoid driving if at all possible in icy or snowy conditions. Can you work from home? Delay your journey? Initial evaluations results who that these events were very effective in raising drivers awareness og the importance of preparing their vehicle for winter and increased the likelihood that they would do so. Our new Risk Based Evidence Profile 2018 is now available. It highlights our two highest risk priorities for prevention activities which are: accidental dwelling fires and road traffic collisions. The document includes the latest research and analysis about fires and road safety, such as, new evidence from the Home Office shows that while the number of fires has fallen nationally the number of people aged 65 and over killed in a fire has risen by 22% between 2014/15 and 2016/17. To read the full report or find out more fire and road safety facts about Cornwall please visit www.cornwall.gov.uk/rbep A key messages paper is also available on the website which summarises these findings. 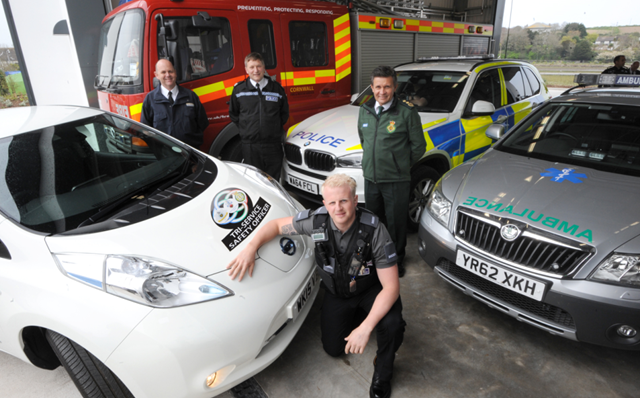 On average there are 24 collisions on roads in Cornwall each week involving an injury. Evidence shows that most of the factors contributing to collisions in Cornwall are related to driver error. Motorcycles make up less than 1% of traffic, but are involved in more than 15% of injury collisions. Pedal cyclists have been identified as a priority road user group both nationally and in Cornwall due to an increase in numbers of people cycling on the roads and the fact that they are vulnerable to injury: like motorcyclists and pedestrians, if they involved in a collision the chances of being injured is much higher than those in enclosed vehicles. 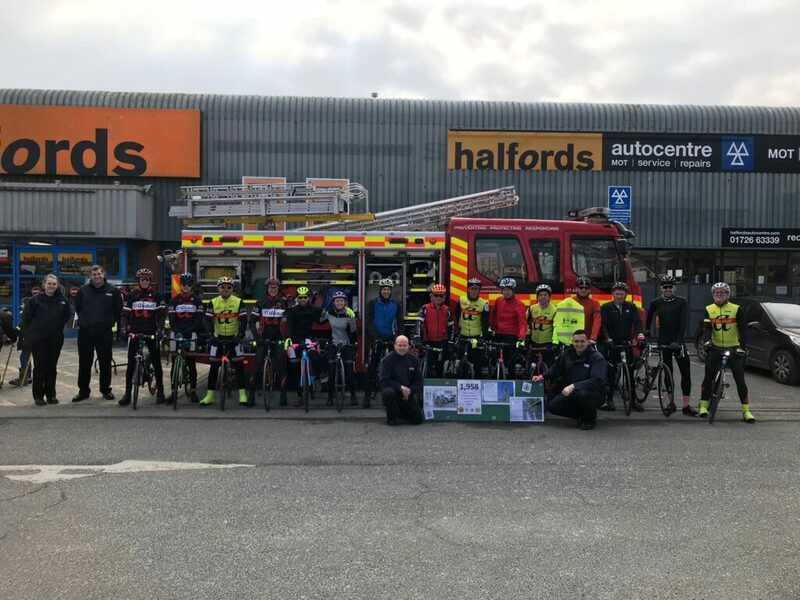 On Saturday the 24th February, Green Watch at St Austell Community Fire Station held a cycling awareness event at Halfords in St Austell to engage with drivers and cyclists to raise awareness of cyclist safety, focusing on the correct passing distances for vehicles overtaking cyclists. Cyclists should be positioned 0.75metres from the kerb in order for them to avoid pot holes and drain covers, mud, puddles and being injured if a car door opened in front of them. For vehicles passing the cyclists they should allow at least 1.5m of space just in case the cyclists swerve out into the road to avoid a hazard or is blown by the wind unexpectedly. Drivers were encouraged to look out for cyclists when driving on the road and give them plenty of space when overtaking, cyclists were informed to ride defensively and be more visible on the road. Visibility was a key topic where the Watch tested everyone’s understanding of the potentially short distances of seeing cyclists at night with no lights. Driving at 30mph at night a driver should expect to see a cyclist with dark clothing on when they were just 2 metres away which is a split second reaction time. With a cyclist in a white jacket this extends to only 30metres and a few seconds. But with a Hi-Viz jacket on this jumps to 100metres, making a dramatic improvement on being visible on the road. All drivers spoken to agreed that the event had been informative and had certainly made them think about both looking out for cyclists more at night giving them at least 1.5 metres when passing them. Cyclists also agreed to consider their visibility more and ride more positively helping them improve their safety reducing the chances of having an incident. All the motorist participants agreed that the short questionnaire had been informative and had certainly made them think about both looking out for cyclists more at night and would give them at least 1.5 metres when passing them. Cyclists also agreed that they needed to consider their visibility more and would ride more positively helping them improve their stability reducing the chances of having an incident. Learning materials and the syllabus for learning to drive a car are being updated to include motorway lessons. 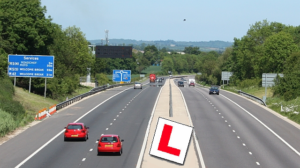 The Driver and Vehicle Standards Agency won’t give driving instructors extra training on providing motorway lessons. The driving instructor’s National Associations Strategic Partnership has produced best practice guidance to help instructors. On 1 March 2017, the penalties for the offence doubled from £100 and three penalty points to £200 and six points. To mark the first anniversary of the introduction of the new penalties, THINK! 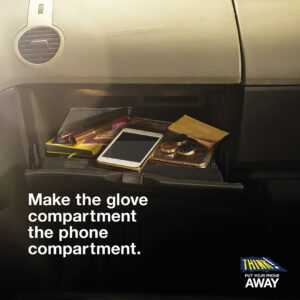 is highlighting the chances of being caught in a series of adverts which will run on radio, social media, on demand video and in shopping centres, as part of its ongoing campaign to raise awareness of the dangers of using a mobile phone while driving. A further 1,997 motorists were handed fines as part of a national crackdown by traffic officers between 22 and 28 January 2018, which was choreographed by the National Police Chiefs’ Council. Of those caught, 74% were male.